After a few failed attempts at finding a good angle of the Chicago sunrise, I crossed over Morgan Street on my way to a UIC parking garage when I found a hole in the fence. This is the Eisenhower expressway from behind a chain link fence. 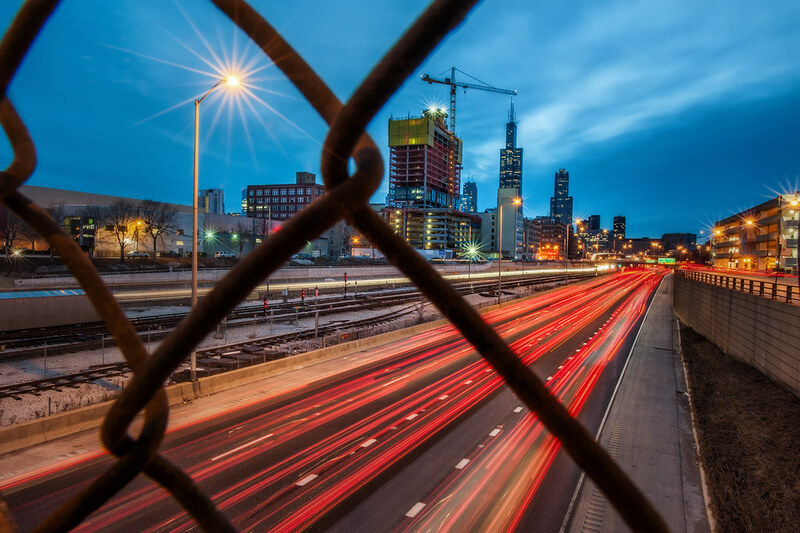 The Eisenhower Expressway from behind a chain link fence on Morgan Street. Extremely elegantly composed post and exceptionally certificatory to Pine Tree State. I required to many thanks for this unimaginable Hostgator Coupons read!! I unquestionably obtaining a charge out of every and each piece of it and that i have you ever bookmarked to seem at new stuff you post.